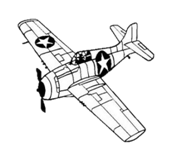 It is that time again to pre-register your Warbird for EAA AirVenture. Please take some time to review our procedures below. This will make your visit go as smoothly as possible upon your arrival. A tag needs to be filled out each time you request fuel. If you are pre-registered you only need to fill out your fuel request and ‘N’ number. If you are not pre-registered you must fill out the complete tag on your first fueling and put a credit card on file. Our fuelers will have a list of those that are pre-registered. The fueling tags will be turned into the office by the driver with the amount of fuel taken and the information to be added to your account. Our fuel trucks will no longer carry oil. A van will be positioned in the Warbird area from Sunday to Sunday and stocked with 1 gallon jugs of 120W/120 and 2.5 gallon jugs of 25W-60 available to purchase. If you have needs outside these days please contact our office. If you are pre-registered simply give the attendant an N number and we will bill your account. Last year was the first year we did this and was met with positive results. The van will be attended from 8 AM to 5:00 PM each day. Other types of oil will be stocked at our fuel booths and the FBO. If you have any questions please call our office at 920-236-7827. We look forward to serving you again this year at AirVenture.